The birth of a child is an exciting and magical time for not only you, but for those in your inner circle. Friends and family feed off of the glow of a new baby and can’t wait to meet the little one face to face. 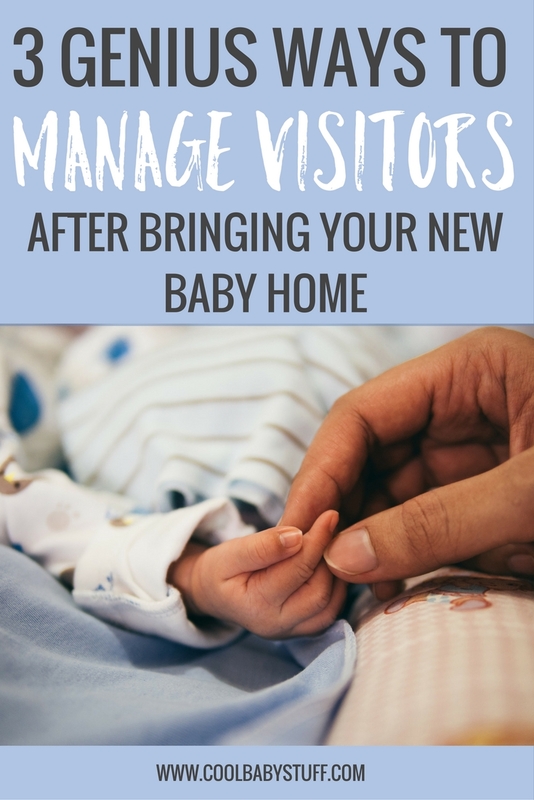 While the intentions are good and most often stem from a place of love and joy, all of the attention and social interaction can sometimes feel a little overwhelming for a new parent after bringing baby home. 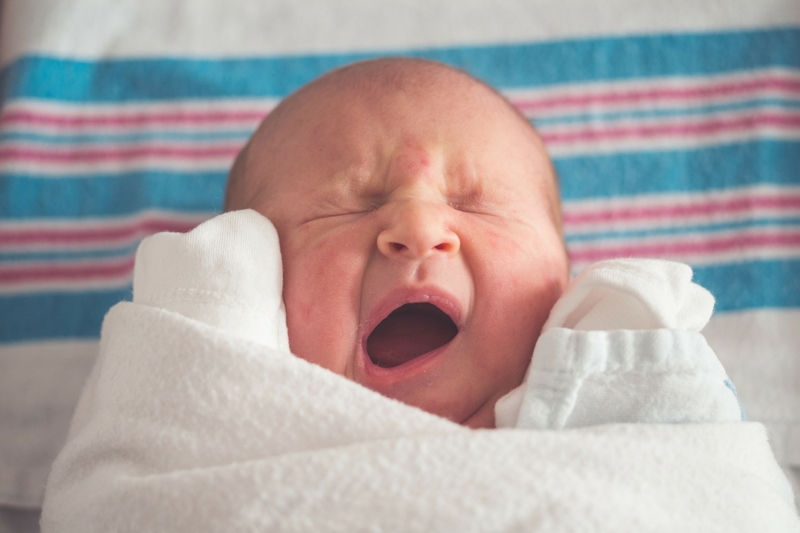 Here are some tips for managing visitors in the midst of newborn chaos. 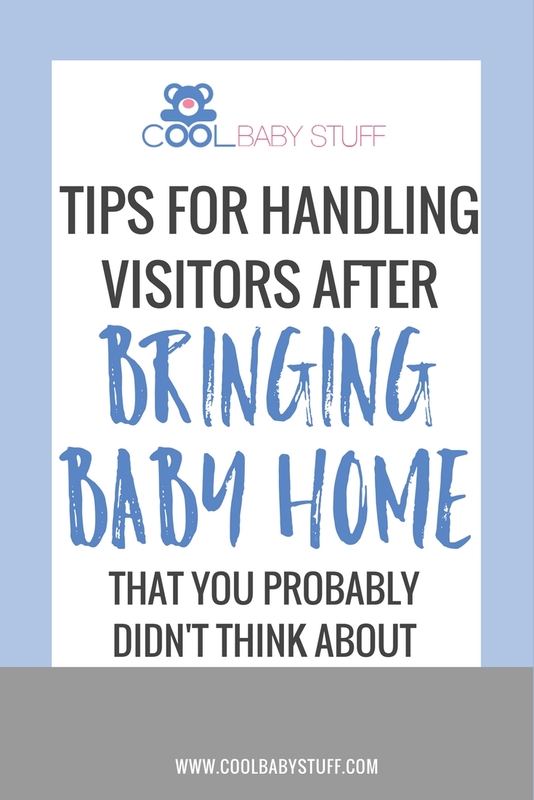 It might seem a little rigid at first, but setting up boundaries for yourself and your guests in the form of visiting hours could help you maintain what little sanity exists in the first few weeks after bringing baby home. If you can avoid constantly coordinating schedules or people showing up at spontaneous hours of the day, you might keep some of the stress at bay. You can either send out an email or text declaring your visiting hours and ask for a heads up if a friend or family member plans to drop by, or you can simply hang up a sign on the door. There is no shame in a little structure if it helps you manage the rest of your day more smoothly. Your friends and family really do want to help when there’s a new baby, but sometimes they just aren’t sure how. Even if they haven’t offered, don’t be afraid to reach out and ask if they can spare an hour or two. Make specific requests. Have a list of chores that they can choose from, like washing, drying, and putting away the dishes. You can even just leave the list on the counter while you rest and feed your little one behind a closed bedroom door. After bringing baby home is the time to let yourself be taken care of and let those close to you show you just how much they care about you! Accepting help goes full circle — it will relieve some of your load, and they will find joy in bringing rest to the ones they love. Don’t feel like you need to invite every person into your home and offer refreshments. There will be plenty of time for that down the road. The first few weeks with your new baby are intimate and vulnerable, and it’s perfectly acceptable to keep that time private — just tell your loved ones that you look forward to visiting with them in a couple weeks when you’ve had time to bond and recover. Bringing baby home is one of the most precious times in your life, and it’s truly wonderful to have people that want to share in that. Enjoy the company when you can and take breaks when you need to. The first few weeks (or months) can feel like you’re in survival mode, but with a village of support you will thrive! Before heading to the hospital, make sure to check out this article to figure out what hospital bag essentials you might have forgotten!